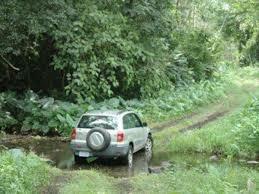 Renting a car or 4WD in Costa Rica can be not only troublesome but complicated. This is why we have done the homework for our guests and have negotiated with the top consistent car rental companies the best prices for the newest cars with the best insurance terms, service, a $10 one-time charge for a cell phone plus minutes used, free second drivers, and free drop off and pick up at Adventure Inn. And with our high volume of rentals, not only do we negotiate rates that are less than if you went direct, but Adventure Inn will back you up if you are treated unfairly, though fortunately this rarely happens. Almost daily, people come to us with lower rates quoted by most multi-national car rental companies, BUT THEY ARE BEING DECEIVED, being quoted only an ‘estimate’ that neglects to include the costly mandatory insurance ($19 to $30 per day), 13% sales tax and airport tax. If you are quoted an ‘estimate’ and not a final guaranteed drive-away price that YOU NEED TO PAY, don’t take their bait, or you may end up paying 30% or 40% more than you anticipated when it is too late to back out, not a nice way to begin your vacation! Driving any of our listed cars is carbon neutral. The gas emission generated is compensated by reforestation projects on the Osa Peninsula meeting the requirements of the Carbon Neutral Protocol. See our current car rental rates at http://www.adventure-inn.com/cars/ Our prices are based on a 24 hour day, and include all taxes, mandatory CDW insurance, a second driver at no additional cost, unlimited mileage, 24 hour line service, 24 hour road-side assistance, and pick-up and drop off at the Adventure Inn or airport (same price). All vehicles have air conditioning, FM/CD and power steering. 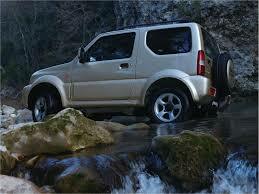 4WD vehicles are recommended from May 15th to December 1st because of heavy afternoon rains. 4WDs or the Nissan Urvan are also recommended if you are going to Monteverde because of greater road clearance. Most people do not take the costly full insurance coverage, and elect to pay the deductible if necessary. It is long and difficult to sue in Costa Rica and rewards are generally low. Like all car rental agencies in Costa Rica, they require a single credit card to be used for both the deposit and the total rental charges. The deposit is equal to the full deductible, which is then reversed when you hand the vehicle in undamaged. Insurance in Costa Rica is a state run monopoly, and there is little reason to shop around. Though insurance offered by all car rental agencies differs slightly, what one agency gives in one area, it takes away in another, so it basically balances out. Even though we choose only the most reputable car rental companies, from time to time things can go wrong. In the event that the car rental agency is at fault, we will always stand up for our clients. The cars may be older: It is not uncommon for agencies to rent cars that have well over 150 000 km. For this reason, we always display the year of the car. Hidden fees: The prices we quote (below) are final prices with no hidden fees. If you cannot talk to a real person and get a guaranteed final price, don’t bother. Many of our guests have been unpleasantly surprised to discover, after it is too late, that they have to pay nearly twice what they expected. Though Costa Rica looks small on a world map, it takes about fourteen hours to drive diagonally from one corner to the next. Traversing the rugged landscape, few highways are straight. And when you see a sign giving directions or kilometers to a certain town, take advantage of it! The two major factors to be considered are the time of year and where you will be driving. Costa Rica’s rainy season extends from mid-May to late November with about a two week transitional period at each end. Most of Costa Rica’s roads are covered in a thin layer of asphalt. The rainy season causes lots of pot holes, and it seems the government takes their time at fixing them, causing a bumpy ride any time of the year. It seems the roads less traveled get the thickest, smoothest covering of asphalt, such as south of Dominical to Palmar, or the roads in the northwest bisecting Volcanos Tenorio, Miravalles, Rincon de la Vieja and Orosi. In some distant places, roads are gravel, and badly in need of a road grader. Unpaved roads are often comprised of crushed rock, and they are as smooth as it sounds. Driving from one side of the road to the other looking for the flattest spots as you snake your way along is the norm. On paved roads, if it is covered in pot holes, you just take your time and drive around them. Fortunately you have to drive quite slowly to miss the pot holes, so there are few mishaps, and 40 kilometers an hour is really moving along. You’ll find the worst pot holes are the rogue pot holes, the deep, sharp-edged, solitary guys found on a beautiful stretch of paved highway every mile or two. Just as you become confident the highway is in excellent condition and you increase your speed to seventy or ninety kilometers per hour, out of nowhere, WHAM!!! and you spend the next twenty minutes changing your tire, or the next day straightening or looking for a new rim. It seems the government spends little effort repairing these rogue pot holes because all the locals know where they are anyway. Same as highway directional signs, the locals are already familiar with their location, no need to put signs up. Don’t get me started! If you are going to the Caribbean coast, both routes have paved roads all the way from San Jose so there is no need year-round for a 4WD. There are some stretches of washboard gravel road before and after Puerto Viejo, but a 2WD driven with care should be no problem, unless your final destination happens to have an entrance that requires . Year-round, you only require a 2WD sedan-style car to visit most of the major tourist destinations in Costa Rica including Arenal Volcano, Poas and Irazu Volcanos, the Orosi Valley, Golfito, Dominical, Manuel Antonio, Jaco, Tambor and Montezuma, Samara, Tamarindo, Coco and most of Guanacaste. Places such as Monteverde, and mountain lodges south of Dominical, going from Golfito south to Pavones it is advisable to have a 4WD year-round, not so much for traction but for road clearance. The rainy season just means you need a 4WD even more as ditches turn into rivers and can wash a road out, or cause you to take a muddy detour. Driving along the Pacific coast in certain locations, especially in the northern Nicoya to southern Guanacaste region, there are several rivers that need to be forded, and only a 4WD will suffice in any river fording situation. If you know your way, or can follow locals, there are some beach stretches you can take that bypass the river fording in the rainy season. However, do not drive in salt water, or you could be in for a hefty charge because of the oxidation (rust) damage caused. If you don’t choose the beach detour in the wet season, you have a long drive around involving Playa Naranjo and Paquera. One particular stretch of highway climbing over the mountains between Cartago and San Isidro de el General is well named, El Cerro de la Muerte, (translated “The Hill of Death”). The narrow highway zig-zags through the stunted cloud forest, often fogged in at the higher elevations, especially at night, and frustrated drivers try to overtake slower transport trucks or cars without sufficient visibility to safely pass. The new Dominical to Quepos highway now offers a far safer option. You’ll find a GPS useful, especially in the Central Valley where congested roads twist and wind, leaving you wondering where you are. Even after seventeen years driving in the Central Valley. The cell phone app, Waze is extremely useful. Once out of the Central Valley however, there is generally only one road between points, so navigating is simpler. We also offer complimentary Adventure Hotels of Costa Rica road maps at our front desk should you need one. Not only is it an excellent road map but it also pinpoints the location of about 160 member hotels strategically located throughout Costa Rica where you get a 10% discount just for mentioning AHCR when you book your reservation. Fortunately, most of the people we rent cars to are here on vacation, with no need to race from one point to the next. Take your time, stop often, take pictures, check out that cute little roadside restaurant, or the interesting souvenir shops along the way. There’s no need to get stressed and overdo it. You’ll eventually get to your destination and eventually back home to friends and loved ones all in one piece.